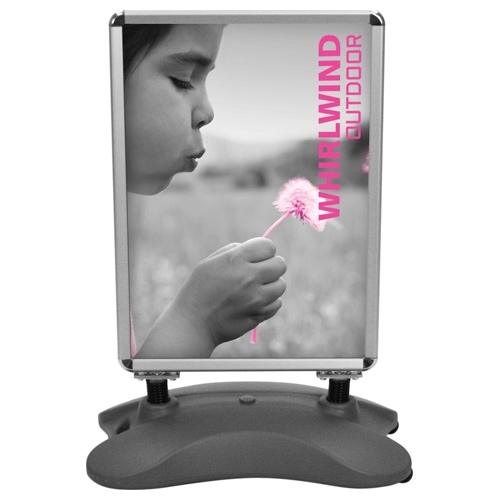 Heavy-duty double sided wind sign for displaying indoor or outdoor graphics. 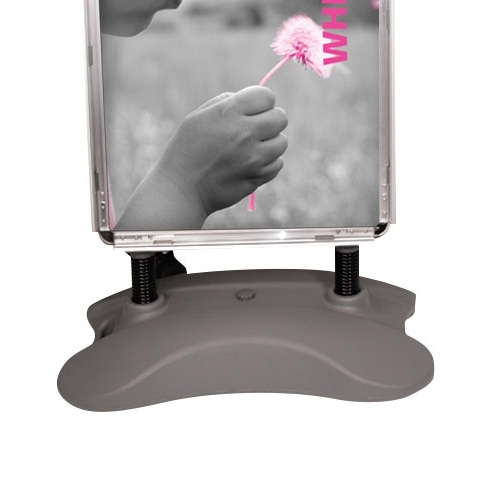 The unit has a wheeled, compact moulded base that can be filled with water or sand. 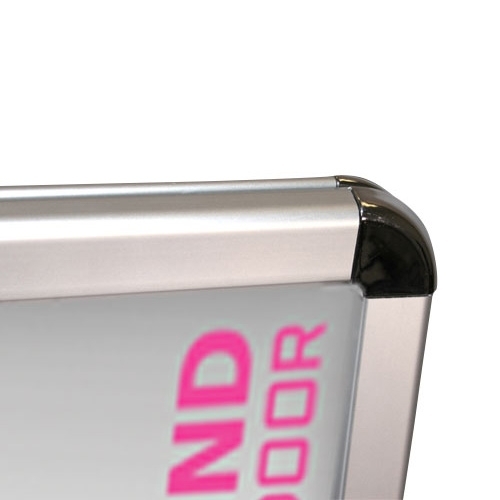 The snap frame poster holders make changing your message quick and easy. Graphics not included unless specified.